DENMARK: DBB Jack-Up Services and MHI-Vestas have signed a framework agreement to provide offshore wind operations and maintenance (O&M) services. DBB will support the maintenance at projects over which MHI-Vestas has O&M responsibility. The joint venture was given Vestas' offshore service contracts when it was formed earlier this year. The deal is an extension of a seven-year relationship between DBB and Vestas. MHI Vestas carries out O&M at a number of projects in northern Europe including Vattenfall's 300MW Thanet site and the 216MW Northwind development in Belgium. DBB will have three service vessels to carry out the maintenance services. Its J/U Wind vessel has carried out over 370 major component replacements and the J/U Wind Server vessel is currently under construction. 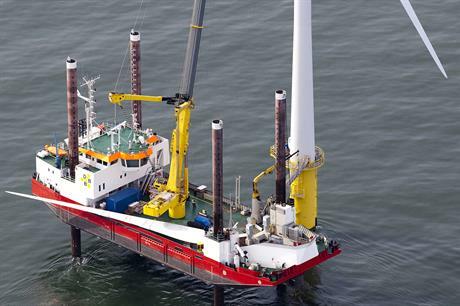 It also uses its converted jack-up vessel, the J/U Wind Pioneer, for shallow water locations.